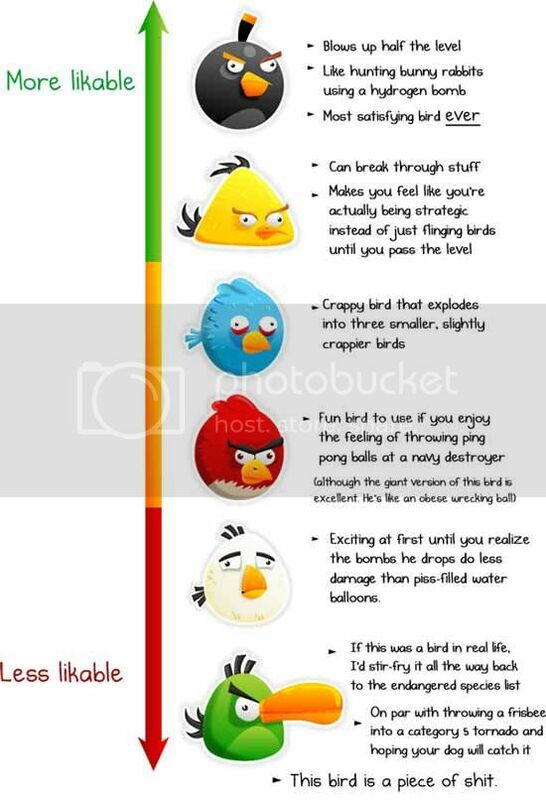 I tried playing Angry Birds once just to see what all the fuss was about, after a few levels I had to stop because I would've thrown my iPod Touch to the nearest wall out of sheer frustration. Yes, I know I'm an idiot when it comes to physics types of games. I really hate them pigs but for some reason I hate the useless birds even more. Luckily the one man comedic team known as "The Oatmeal" shares my hate for the birds that can't seem to do anything to help annihilate those damn pigs. The image after the break will give you more insight about how I feel towards some of the birds in the game and I do hope you feel the same way.